Allegheny Trucks has partnered with several vendors over the year, but the most recent partnership with The Godwin Group has given every company with a commercial truck or van in the Pittsburgh area a reason to cheer. 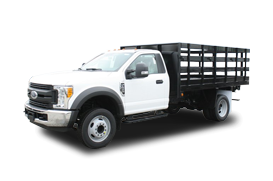 Both Godwin and Allegheny Trucks have a well-established reputation for offering the highest quality to commercial companies, and now they have partnered to deliver steel and aluminum dump bodies with Ford commercial trucks. Whether you own a company that has one commercial dump truck or multiple, Allegheny Trucks partnered with the Godwin Group is the ideal pairing for any fleet manager or business owner looking to add or replace a dump truck. From new powder-coated, zinc-primed steel dump bodies to redesigned aluminum dump bodies, Allegheny Trucks and The Godwin Group are now able to offer more options to commercial customers than any other dealership in the Pittsburgh area. Always remember, we’re not just a dealership with a commercial truck and van department. 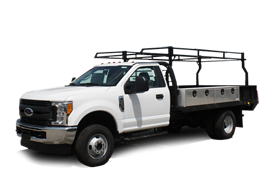 Allegheny Ford-Isuzu Truck Sales is a full-service commercial truck dealer, meaning commercial customers aren’t just an extra that we use to enhance our bottom line. Our commercial truck and van customers are our business, and we specialize in meeting the needs of commercial customers better than any other dealer in the country. Do you have a custom build in mind? 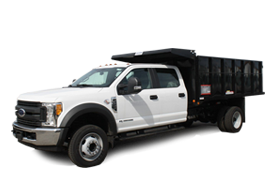 Reach out to a product specialist at our commercial truck dealership to get the latest steel and aluminum dump bodies from The Godwin Group, along with custom upfit options from several other vendors, including Leggett & Platt Masterack and Pal Pro crane bodies. Reach our team through our online contact form or by phone at (855) 996-0725.